This article requires to setup below environment at first. Please refer to them before following this article. 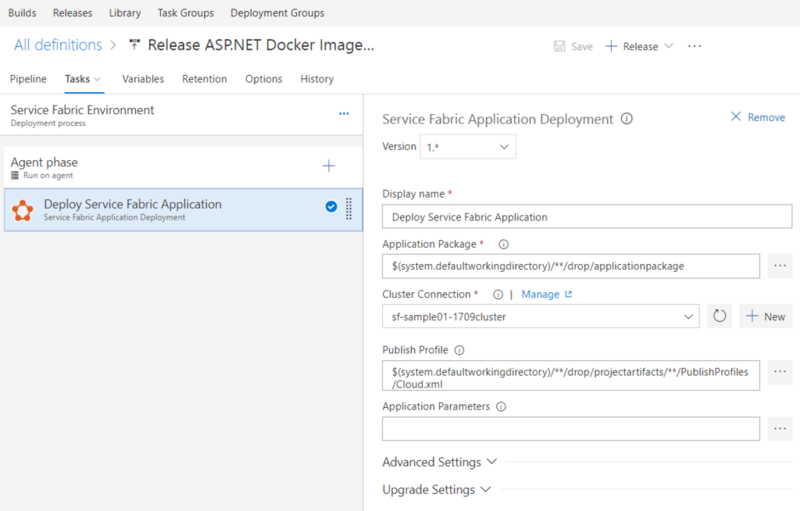 You have to complete all setups of CI/CD cycle using Windows Docker images, Service Fabric cluster and VSTS except for VSTS Release Definitions before following this article. 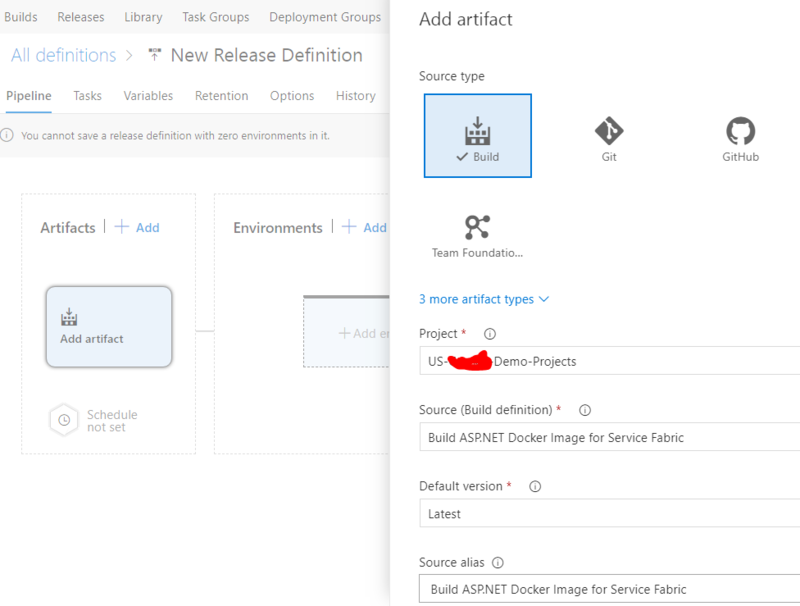 I believe you have already created artifacts using by your VSTS Build definition to deploy into your Service Fabric cluster. Now, you can deploy the artifact by following this article. 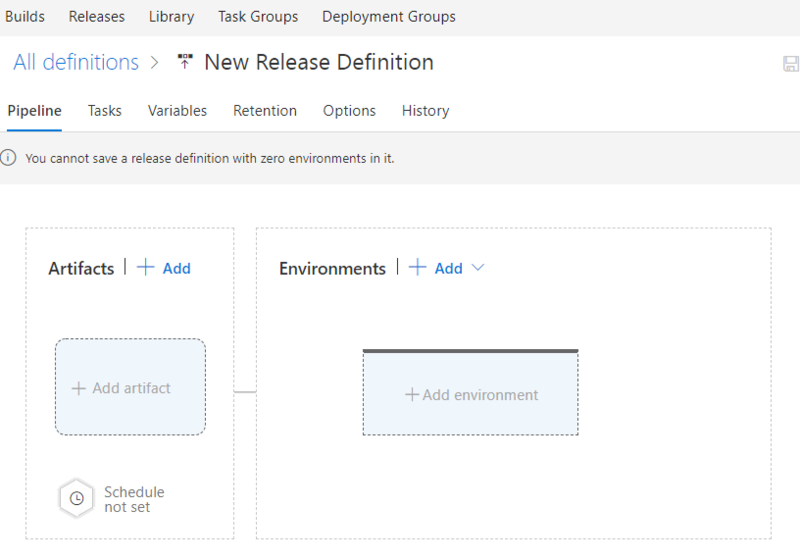 Choose "Releases" item from the top of VSTS menus, click "+" icon from left side and choose create "Create release definition", so you can find below diagrams. Next, click "Add artifact", choose "Build" as "Source type" and setup your "Project" and "Source(Build definition)" which you have already created before following this article. Refer to below image if you need. 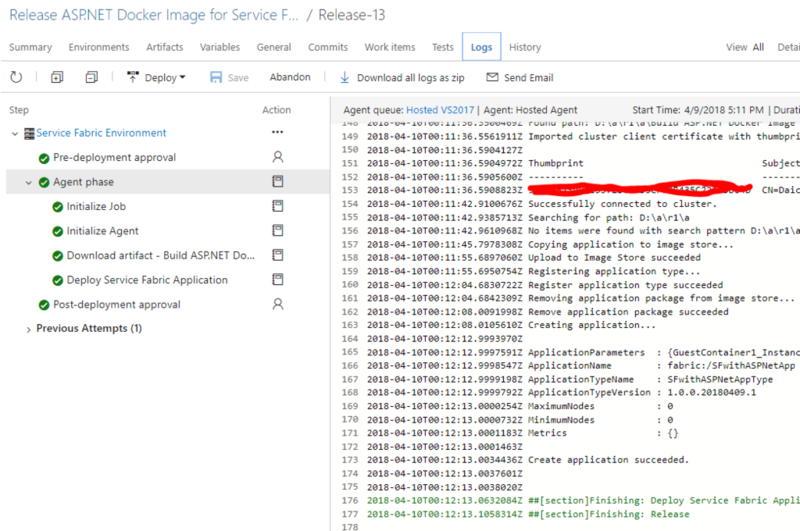 How to setup Service Fabric connections on VSTS - normalian blog to setup this. Refer to below image and table as you need. After completion to create the Release Definition, click "+Rlease" link on VSTS portal. 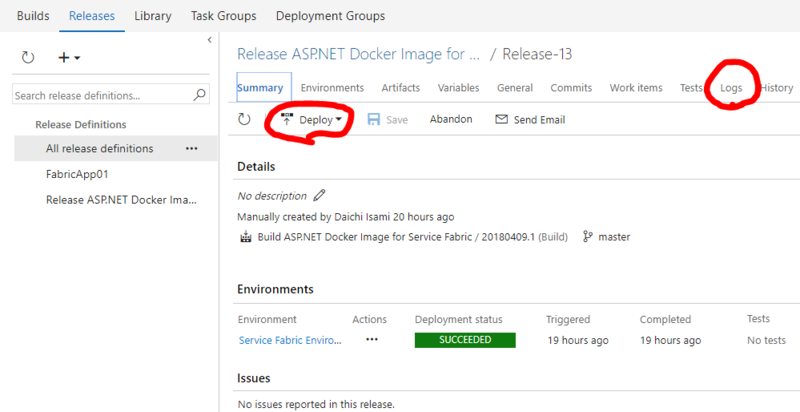 Next, you can execute your deployment process by clicking "Deploy" on VSTS portal like below. After execution of the process, you also be able to watch process progress by choosing "Logs" tab on VSTS portal. This is "Logs" tab on VSTS.